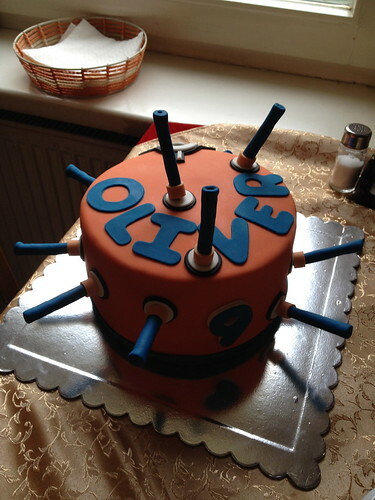 We had a special day on Wednesday to mark the ninth anniversary of Oliver’s birth. 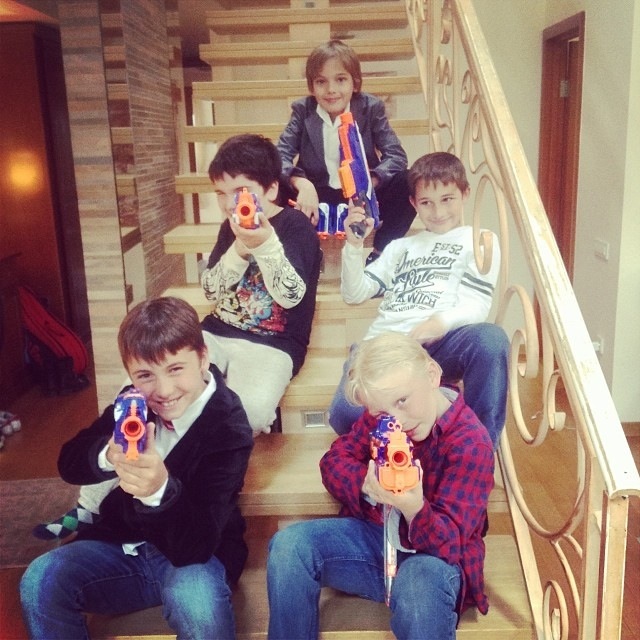 He invited four friends over for a Nerf gun extravaganza! There were bullets flying all over the house and the kids had a great time. A highlight was the weekly radio check to the US Marines at the embassy. We walked to Ollie’s favorite restaurant, Quan Du Je, in Senjak. It is a nice thing about Serbia is that they love kids and chaos, so no one was bothered by the boys chasing each other and being loud in the restaurant. We finished the night by watching World War Z and reading a bit of the Zombie Apocalypse Handbook. It was a total boy’s party. Another interesting moment was the candle explosion during singing Srećan Rođendan (Serbian Happy Birthday) and you can see the video here. Happy Birthday to our charismatic, high-energy, mischievous, boundary-testing, curious, knowledgeable, warm hearted, loving little guy! We love you and enjoy your tenth year!